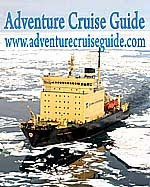 BootsnAll.com (US) "The Ultimate Resource for the Independent Traveller"
mappic.org (NO) Pictorial travel community.Impressive. RoughGuides/IgoUgo (UK/US) "Real people sharing travel experiences"
TheTravelRag (AU) "The independant traveller's onlone read"
Travelhog.net (NL) Post travelogues and pictures. Excellent functionality. Travel Notes (US) "Very organized travel directory providing country/state information, reviewed web sites, regular travel articles, and online ticketing for car hire, hotel reservations and discounted flights." TravelMag (UK) "Travelmag correspondents travel well beyond the guidebook routes, illuminating little-known corners of the globe and, occasionally, revealing a bit about themselves as well." Virtual Tourist (US) "VirtualTourist is the World's Leading Online Travel Research Exchange." Editor's Note: Star ratings are based on my own experience. You can make up your own mind!